Australia 231 (Matthew Wade 49, David Warner 48) beat Sri Lanka 215 (Upul Tharanga 71, Lahiru Thirimanne 30, Clint McKay 5-28) by 16 runs. 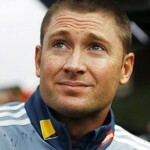 Shane Watson was the stand in Captain for Australia as Michael Clarke was out of the match duo hamstring injury. The Kangaroos were bowled out for 231 runs with three balls to spare and the Islander’s fighting innings was rolled back on 215 in 48.5 overs. Mckay was declared ‘Player of the match’ for his excellent spell, by snatching five wickets which decided the fate of the game in their favour. The decisive third final was played at Adelaide Oval on March 8, 2012 which was witnessed by a roaring crowd. Sri Lanka was having a good support from their ex-patriots as well which was hailed by Tillakaratne Dilshan and Captain Mahela Jayawardene after the end of the match. Earlier, Sri Lanka won the toss and put Australia in to bat as they feel more comfortable while chasing. The innings was opened by Matthew Wade and David Warner in a watchful manner and scored five runs in the first three overs. Warner opened his arms in the fourth over by sending the ball twice to the boundary and continued with the pace by accumulating 12 runs in the seventh over. He tried to enhance the scoring but lost his wicket for 48 off 45 balls with one six and 5 fours. The openers provided a solid foundation of 75 runs in 14 overs which could not be manipulated by the incoming batsmen. Shane Watson could manage 19 runs after adding 40 runs with Wade who was securing his end well while accumulating useful runs. 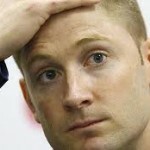 The wickets started tumbling once the Lankan Lions took over and Wade became the fourth victim for 49 runs. Brett Lee and McKay gave the much needed resistance lower down in the order by furnishing 32 and 28 respectively as the home side was sent back to the pavilion for 231 runs in 49.3 overs. Rangana Herath and Farveez Maharoof were the chief wreckers with three wickets each, Nuwan Kulasekara held two and Dilshan claimed one. 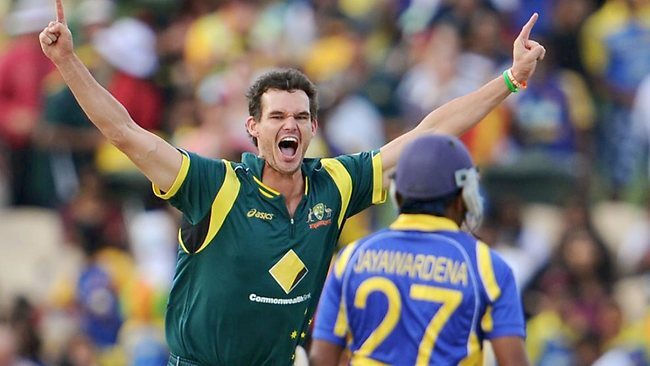 Sri Lanka was in trouble right from the word go as Clint McKay and Lee were unplayable in their opening burst. The visitors were reeling at 53 after losing their four top order wickets in 9.3 overs. The young duo of Lahiru Thirimanne and Upul Tharanga came to their rescue and started repair job. The first hundred of the innings was posted in the 23rd over but Thirimanne brought fifth success for the home side. He was caught by Warner off Shane Watson on 30 as the score reached 113 runs and the tourists were under pressure once again. Tharanga kept on cruising as the wickets were sliding at the other end without providing any frustration to the bowlers. He completed his fifty on the second ball of the 38th over and pressure kept on creeping as the Kangaroos were reducing their batsmen at the other end. The home side was jubilant once they got rid of Tharanga when he was caught behind by Wade off Watson for 71 from 122 balls assisted with one six and 3 fours. Mckay ripped through the tail as the whole side found its way to the pavilion for 215 runs with seven balls to spare. Clint Mckay was the star of the final with five wickets for 28 runs in 9.5 overs, Lee supported him well by grasping three and Watson claimed two. Tillakartne Dilshan was unanimously declared ‘Player of the series’ for his all round performance. Australia won the absorbing third final by 16 runs and lifted the Commonwealth Bank Series 2011-12 trophy. Give credits to Australian bowlers and blame it to Sri Lankan batsmen, specially the top order. Sri Lankans should have been little more responsible with batting. Target was not huge and if they had been careful they could have won. It was more or less a repeat of 1st final.